Home DIY Projects Make Your Own Comic Book Art! 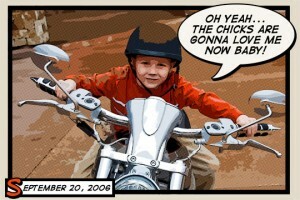 This groovy tutorial walk you thru changing those standard pics in to a comic book theme. You can get super creative with this one! Almost any action shot can be turned into a fun super her piece of artwork for your kids room…or your office.